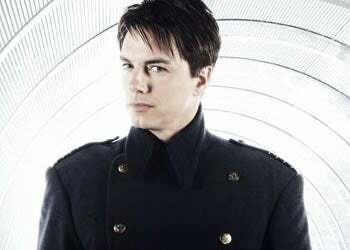 Fox's Potential Torchwood: Captain Jack Will Not Be "De-Gayed"
While the fate of Fox's Torchwood is still firmly in the undecided column, John Barrowman has been letting his feelings be known about whether Captain Jack Harkness would appear in it - and whether he'd be censored for US audiences. Julie has said, as has Russell, that there will be no Torchwood without John Barrowman as Capt. Jack... If I am asked to do Torchwood again, I will do it at the drop of a hat - whether it's in America or back in Britain or if it's for a film. I absolutely love Capt. Jack. The last thing I would want would be for Jack to become this heterosexual, straight hero. He's an omnisexual guy. He likes men, women, aliens, whatever. I think we should continue going down that route.